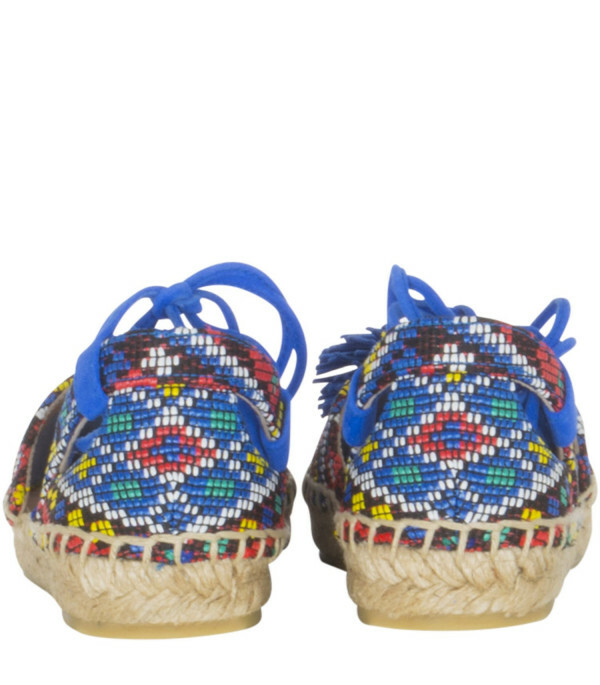 Color: Multicolor - Description: Colorful espadrillas with ethnic pattern and sole made from rafia; it is completed with electric blue suede laces with tassels and pompon on the top, made from suede. - Details: Rafia. 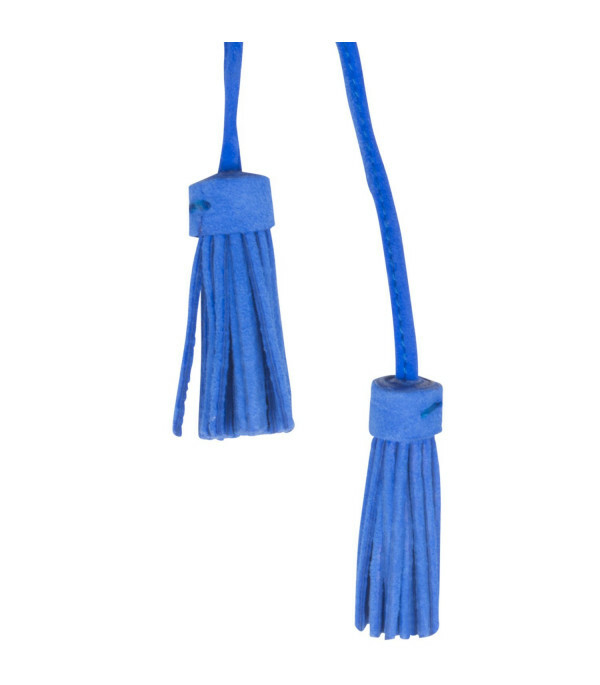 Suede. 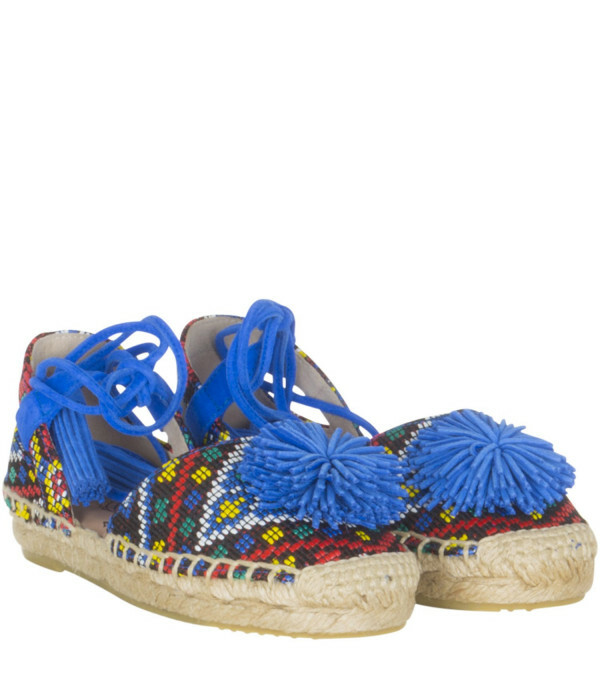 Description: Colorful espadrillas with ethnic pattern and sole made from rafia; it is completed with electric blue suede laces with tassels and pompon on the top, made from suede.